The 90 degree bent 'nose' of this plier allows you to handle small components while keeping your wrist in a natural position. 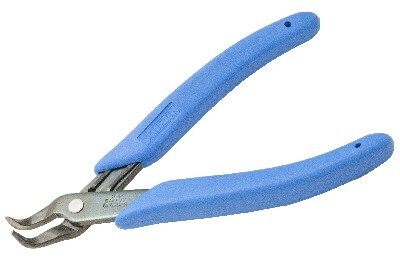 This plier is strong but very light weight. It features a built-in return spring and soft, non-slip rubber hand grips for comfort and control.